Wall Running - Silly Mad Fun! 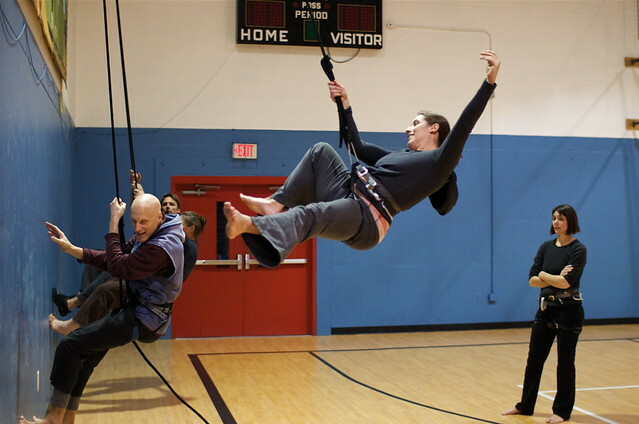 One of the benefits (among many) of being part of an aerial dance troupe is the opportunity to try really fun things. As we work at building our upcoming spring show (April 21-23, four performances) we are learning wall running. 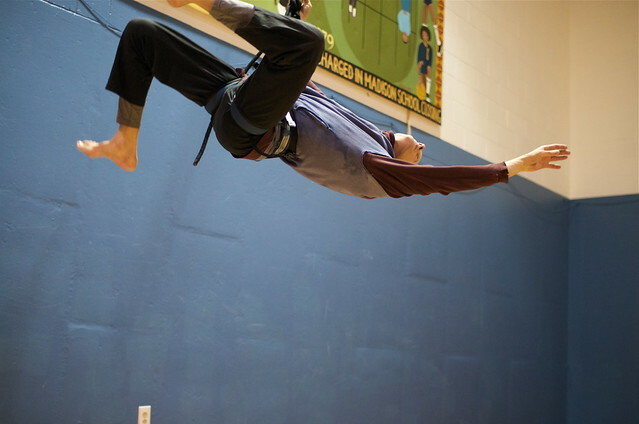 The skills gained by this experimentation will be used to choreograph a dance piece in harnesses on the wall. It is easy to get caught up in the mad skillz used on the wall and I personally need a reminder that the point is to dance on the wall. So it is good for me to work in a group setting where I can observe others and get my gentle reminders. However, the sheer delight of exuberant play on the wall means we can have it all. This truly is creative play time of the sort that feeds my soul. There are more photos in a SLIDE SHOW for your viewing pleasure. Enjoy!